Penn Jersey's team of trauma and crime scene cleaning experts are always on hand to provide fast, discreet and thorough trauma and crime clean up services. Our highly trained cleaning technicians are also available 24/7, so will always be there when you need us. We clean up after a variety of emergencies across Philadelphia, including suicide, trauma and crime scenes. We know that these traumatic incidences happen unexpectedly and often a huge shock to those left behind. And, added to that, the risks to health and the environment can be significant too. It’s not surprising that such a situation can cause huge stress for all involved. Therefore, our team work hard to minimize that stress and worry as much as possible. Once the police finish processing an accident or crime scene, the cleaning and restoration process begins. And that’s where Penn Jersey starts work. Our team use the latest cleaning and sanitization procedures to leave the environment free of bodily fluids, blood and all other contaminants. Quite often, accident and crime scenes contain blood and other biohazard toxins that can be dangerous. Therefore, our trauma and crime cleanup experts respond immediately with the specialized training, protective equipment, and experience required. 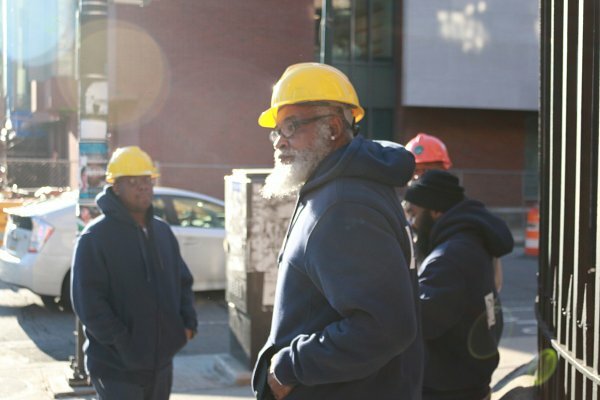 All our expertise developed from 50 years serving Philadelphia's homes and businesses goes into every project we work on. In that time, our trauma and crime cleanup teams have also worked on a wide variety of emergency and traumatic scenes. These include decontaminating suicide and attempted suicide scenes, accidental incidents, decompositions and crime scenes. We also work closely with a variety of local authorities, businesses and residents, coroner and police, to ensure we always carry out our work thoroughly and safely. Residue of pepper spray or tear gas. Blood, tissue remnants and bodily fluids. Chemicals used in the production of illegal drugs. At Penn Jersey, we know that for everyone involved, the scene of a trauma is always an unpleasant, challenging and often devastating experience. But our team do understand this and will work hard to minimize any stress and disruption. We will always treat your property and the people involved, with the greatest empathy and respect. Often those at the cleanup scene have questions or fears or just need reassurance. Our staff understands the shock and grief they must feel. So, we will always treat people with utmost respect, discretion and genuine concern.